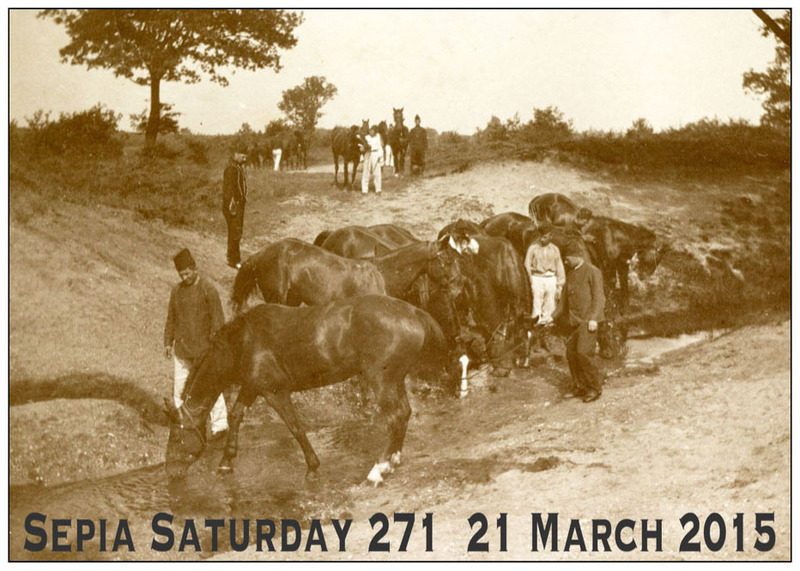 This week our Sepia Saturday theme image features a group of horses gathered around a stream and enjoying a refreshing drink after the toil of a working day. So many possibilities here for the creative Sepian – horses, streams, work – to mention just a few, but for some reason or another I decided to go for a drink! 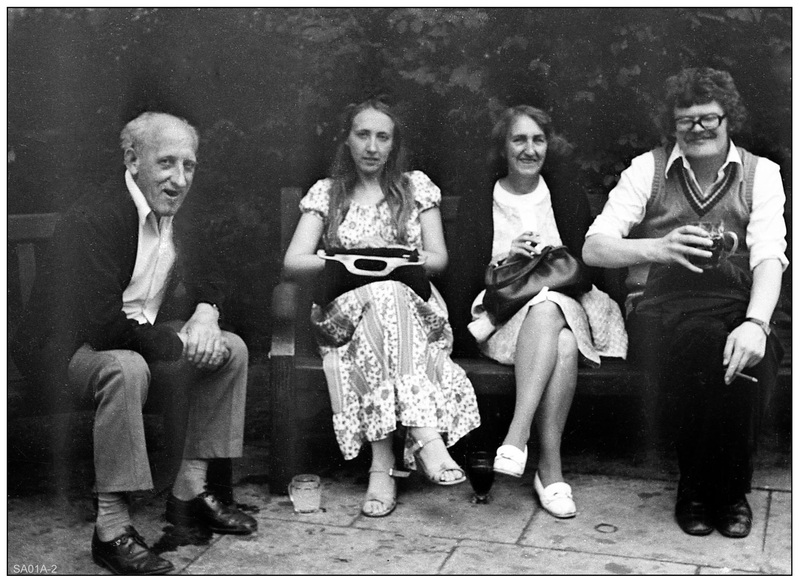 So here I am enjoying a pint and what looks like a cigar with the Excellent Lady Wife and her parents, Raymond and Edith Berry. 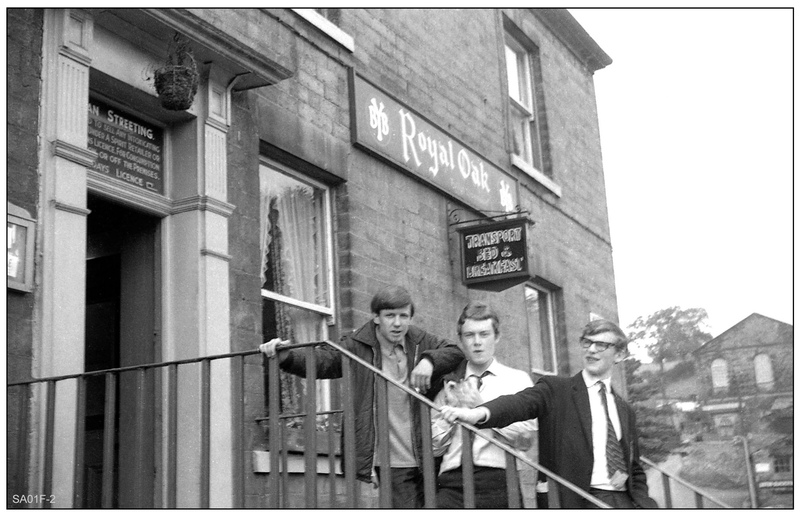 I have no idea where the photograph was taken (it is indeed rare for me to forget a pub) and I can only guess as to when it was taken – and that would be sometime in the mid 1970s. At that time we were living in London so it might have been taken in the beer garden of a southern pub (the beer gardens of northern pubs tend to be full of pigeon lofts and forced rhubarb). A second image from my scanned negative archives features a northern pub, the Royal Oak in Skipton. It will have been taken in 1966 or early 1967 when I was still at school. We were on a geography field trip to Skipton and whilst the rest of the class surveyed artesian basins and sketched U shaped valleys, a few of my school mates and I went off to the pub. As far as I can discover, the pub has now been converted to a guest house – with neither pigeons nor rhubarb in sight. Such is the bitter draught of progress. She what other Sepia Saturday contributors are up to this week by calling in at the Sepia Saturday Blog and following the links.